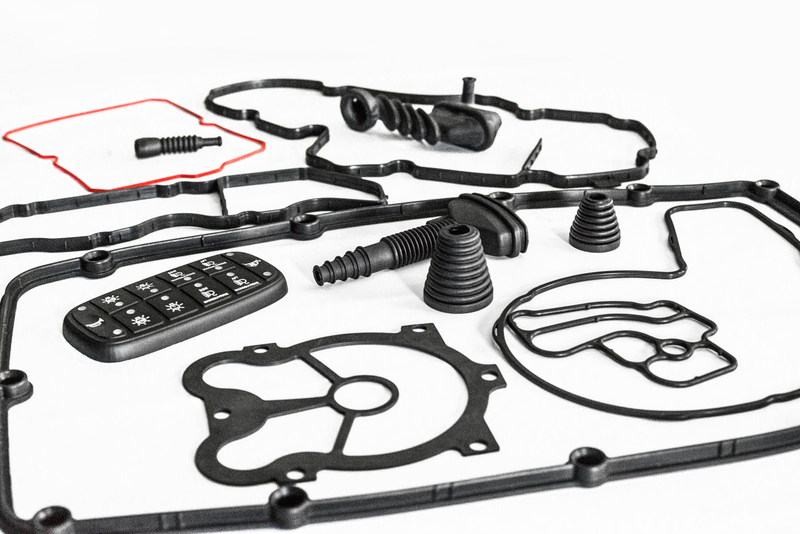 Rubber gaskets for automotive industry - Automotive O-rings - Elastotech S.r.l. The automobile sector has a vast field of applications, to which Elastotech has provided an array of solutions, from the most refined to the most simple. The high performance demanded requires the best of the various elements. Essentially, requirements involve resistance to extreme temperature fluctuations (from -60°C to +300°C); oils, additives and fuel; the electrical conduction. Or they may involve protection - from dust, for example. At the other end, we find seemingly negligible articles that actually improve our relationship with automobiles, making it more comfortable and peasant. Gaskets specially designed for applications in the motor car and motive industry in general. Insulating and conductive, elastic, weather stripping, for very high and very low temperatures, for particular and aggressive oils and liquids, approved according to the most stringent specifications, high chemical and mechanical resistance, anti-abrasive, anti-petrol, two-part, rubber-metal, rubber-plastic, overprinted, LRS (Li quid Silicone Rubber), shockproof, aesthetic, coluored to RAL or PANTONE® chart, ecc.